Recently, I have been thinking of ways to be positive and the first step is to create a positive way of thinking. I have tried to see good in everything that occurs in my life. This has helped me to improve my world and its surroundings. As we know, nobody has a perfect life and we can experience different emotions such as sadness, anger, fear, etc. During these moments, we might be unable to see the positive. Nevertheless, we have to make the effort even though life seems so bad. If you want to change your life I encourage you to practice positive thinking because it will bring so many benefits and great things will start happening. 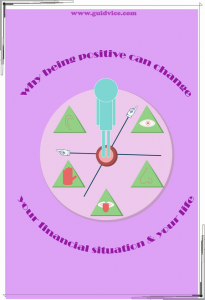 Have you wondered how your financial situation is related to being positive? Let me explain it to you. 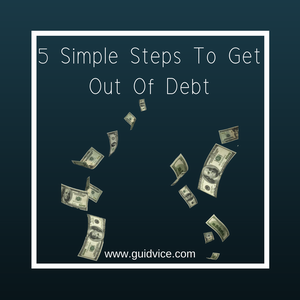 Negativity might impact your finances because not having a clear and positive view of what is going to happen with your debts can make you give up. 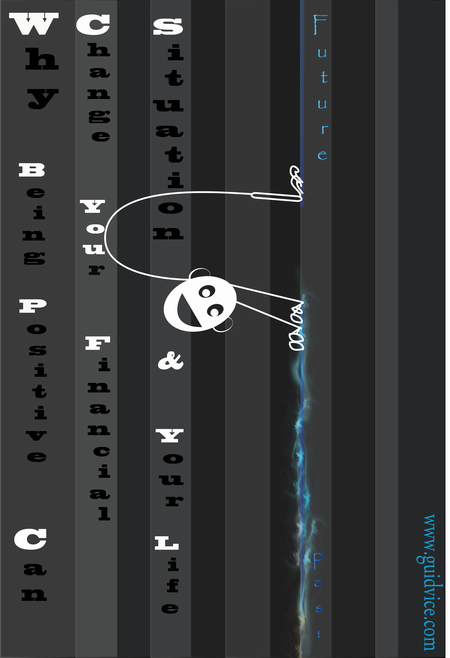 Your debts are going to pile up as a consequence of this negative thinking and the attitude you assume. [/vc_column_text][/vc_column][/vc_row][vc_row][vc_column][the_ad_group id=”36″][vc_empty_space][vc_column_text]This way of thinking can also make you think you are stuck with a job that you don’t like, impacting your career. Moreover, negative thinking can separate you from the good things of life such as family, fun, friends, traveling and so on making you believe that you don’t deserve those beautiful things. I can continue giving you examples of what this type of thinking can contribute to your life. But instead, I will start giving you the benefits of positive thinking and then show you ways to be positive. One of the first benefits you will have from this practice is that it can motivate you and make you realize you are in charge of your life. You will be setting goals for yourself and working hard to achieve them. This will be possible because you will recognize good things can happen. This motivation can also affect other areas. Thinking that you have the power of your life, will motivate you to fight for the things you wish for such as having a dream job, traveling around the world, getting out of our debts and so on. You will also realize that you don’t have to worry about your past because it can´t be changed. Just, use it for your learning experience. Take out the good of it and the things you can improve for the future. Otherwise, you will be wasting your time. Another thing that positive thinking can help you is to acknowledge the things you are good at and what are you capable of. On the other hand, negative thinking will limit your abilities. It might make you feel stuck and unable to solve problems. It might show situations as there is no other way it could be. Thinking that you can’t do something it will make you believe it and in fact, you won’t be able to do it. So, stop being negative, start changing your thoughts and the control of your life will return to your hands. You will be able to deal with stressful situations in a better way. All of this might sound great but it might seem not easy to achieve so here are some ways to be positive. Start smiling more even if you have to force it. Some studies have proven that smiles will improve your mood. Be optimistic. No matter what are you going through and how bad a situation can seem, just be positive and think about how YOU are in charge of your life and how your actions can improve it. Don’t compare yourself with others just use their life experiences as a motivator. Do it, if it is what you actually want to your life. Don’t regret anything, because it will take you nowhere. As I said before, nobody can change the past. Help others to be positive and you will be helping yourself as well. Do nice things for them such as saying hello to strangers, volunteering somewhere, carrying someone’s groceries, and so on. 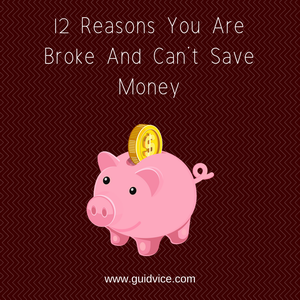 In many ways, this blog post could be considered very straightforward but when it comes to your financial status and the reasons why you do not have enough money, you will need to face it in a realistic way. 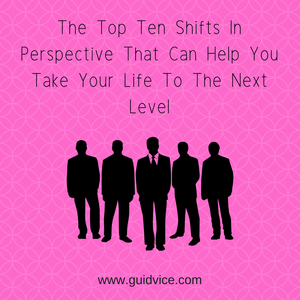 Here are the top ten shifts in perspective that can help you take your life to the next level. This article will help you to create the life you really want. 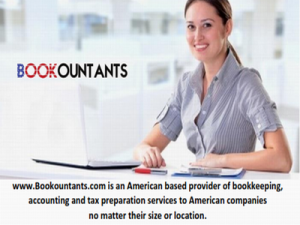 Read more …. Being in debt can be very stressful. It doesn’t matter what your circumstances are, if you signed for a loan, you have to pay it back even if you go through unexpected life-changing events such as losing your job, being involved in an accident, or even if your expenses go up due to having a child.